Do you read to be entertained, to be edified, or to expand your horizons? I suppose most of us would answer all of the above. Some writers can do all three in one book. 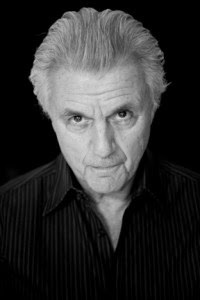 That goes triple for John Irving. Starting with The World According to Garp that won the National Book Award in 1980, I have been a fascinated and loyal reader of his work. The character driven stories and complicated yet subtle plot-lines have always appealed to me. In One Person is our selection for The Best Food Ever Book Club this month. The story centers around a young man’s desires, as he comes of age in Favorite River Academy. Sexuality is a complex subject, and the protagonist is confused as to whether his preferences are settled or remain in flux. The theme of tolerance runs through the novel from start to finish, making us question our beliefs, and our rigid limitations, as we follow Billy’s journey. Through high school and into maturity, Billy Abbot is an endearing character. When authors speak of their work, you will often hear these words. “I wanted to explore…” It is a great achievement to go from that statement to a fully fleshed out novel where the reader is then put into a position of questioning their thoughts on the matter. Hence, the fodder for a great discussion. This entry was posted in Uncategorized on September 10, 2014 by Elizabeth Smythe Brinton.